Two weeks ago, I finished my Eagle Project. It was a massive effort (much bigger than I anticipated) that ended up taking a cumulative 200 man-hours, 40 of my own. The project was constructing from scratch three massive, handicap-accessible picnic tables for this really awesome place called Misericordia (my first-ever wikipedia page!). It’s a super-cool not-for-profit organization that does some really awesome things for a lot of people with disabilites. We ran into many bumps on the way, like not having all the wood, bolts, or washers, or splitting wood, but we more or less mitigated every problem pretty quickly by sending my dad out to pick up whatever we were missing. “We” being the horde of young scouts and adult leaders that came and helped out. I learned quite a few things about working with a lot of people — chiefly, organizing people is REALLY HARD — and I’m pretty happy with how everything turned out. 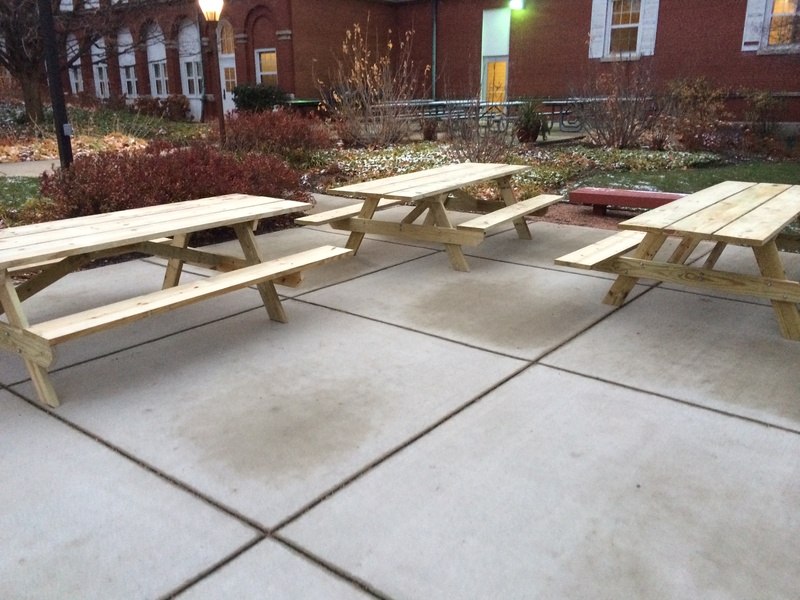 We installed the tables at Misericordia’s main campus, where they will sit unused until the spring comes. But before then, I’ve gotta finish my Eagle Book, the binder reporting on the entire project. It’s been a ton of work, but I’m happy that it’s nearly done, and I’m really hopeful that the tables will see some use and appreciation in the years to come.